The BBC has been granted provisional approval for the BBC to introduce copy protection for content on the Freeview HD platform. 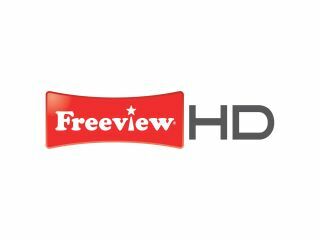 With Freeview HD closing in on a commercial launch, focus has continued on what level of copy protection should be put in. The BBC believes that having no copy protection provides a barrier for getting content on to a platform, and believes that content makers will not be prepared to go the extra mile for Freeview HD unless they feel their intellectual property is protected. Essentially the fear is that with the content now available in glorious HD quality, people will not want to go out and buy DVDs and Blu-rays because it will be too easy to record and copy content either to physical media or to hard drives. And Ofcom's decision is that the BBC will provisionally be allowed to compress the content and offer a decompression algorithm to equipment manufacturers. The proviso given by Ofcom is that the BBC should "restrict the availability of programme listing information for HD TV services only to receivers that implement content management technology". What that means is that you will be able to record to your DVR but not then copy it to another device unless it supported the same copy protection technology. "In view of the fuller submission provided by the BBC, Ofcom is currently minded to approve its request for a multiplex licence amendment subject to consultation responses, on the basis that in principle, content management is a justified objective which ensures that the broadest range of HD content is made available to citizens and consumers," said Ofcom's statement. "Ofcom has considered alternative proposals for implementation put forward by the BBC and is minded to grant approval under the amended licence on the basis that the proposals are the least intrusive means of achieving effective copy management to deliver the benefits of a wider range of content to consumers." Disagree? Then you should raise your complaint by April 5 when the final consultation ends and the decision is made final.